Introducing Gem Residences, a development by Evia Real Estate, Greatearth and Malaysia’s Gamuda Bhd. where the perfect fusion of nature and modern lifestyle is at your fingertips. Situated in Lorong 6/4 Toa Payoh District 12 Singapore, this new condominium attracts high interest among property buyers for its stylishness and its advantage in connecting residents to the city’s key areas and top destinations. Projected to be completed around 2019, this development is a 99-years leasehold with approximately 12,150 square metres. Towering at 39 levels with a total of around 561 units graciously designed to offer a wide mixture of unit sizes and layouts for that perfect living space you’ve always dreamed of. In this age, people look for convenience and accessibility due to the dynamic and demanding routine of daily life. At Gem Residences Toa Payoh, everything you need is within reach. You can choose to stay indoors and enjoy your living space or you can explore a list of amenities available at Gem Residences that is sure to peak you and your loved ones’ interest. The facilities are inspired by comfortable and deluxe activities such as the artistic surrounding landscape, a 50-metre lap pool, sun decks, indoor gymnasium, BBQ pits, function and gathering rooms, party pavilion, tennis court, yoga deck, children’s playground, outdoor fitness corner and many more. This exclusive and indulgent lifestyle is perfect for those looking for that vacation feeling and atmosphere in the middle of the city buzz. Gem Residences condo aims to revitalize and treat you like royalty in the comfort of your own home. If you prefer seeing and going for what the city has to offer, you can be at the Central Business District (CBD) for your business transactions or leisurely activities within minutes of driving. It is also very beneficial for drivers heading to major roads and expressways such as Braddell Road, Thomson Road, Pan-Island Expressway (PIE) and Central Expressway (CTE). Gem Residences’s desirable location shines when it comes to Singapore’s modes of transportation. Being at the city center, Braddell MRT, Toa Payoh MRT and a number of public bus station routes around the area add to the options and links you to your destination. All over the town nearby are hawker centres, markets, parlors and clinics for those on-the-go. The endless shopping, dining, and entertainment choices found near Gem Residences from local goods and services to the multi-storey shopping malls gives you all the possibilities that’s sure to satisfy your needs. Other entertainment and facilities are also nearby for families of all ages. See and be delighted with the range of various activities that suit everyone without traveling far from home. For those who shy away from the busy city lights and urban liveliness, Gem Residences is surrounded by many establishments with peaceful yet energetic ambience. Toa Payoh Safra is just nearby where residents can engage in exciting sports and other fun activities. 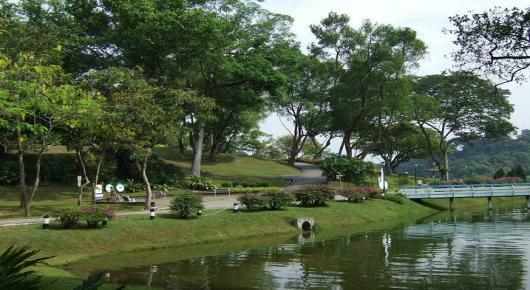 You can also be closer to nature at Macritchie Reservoir where families can bond and spend time in a more serene environment. Gem Residences is located in one of Singapore’s initial housing estates to be established, Toa Payoh. In a considerable period of time, Toa Payoh has been tested and proven its potential as one of the flourishing and successful communities in Singapore. 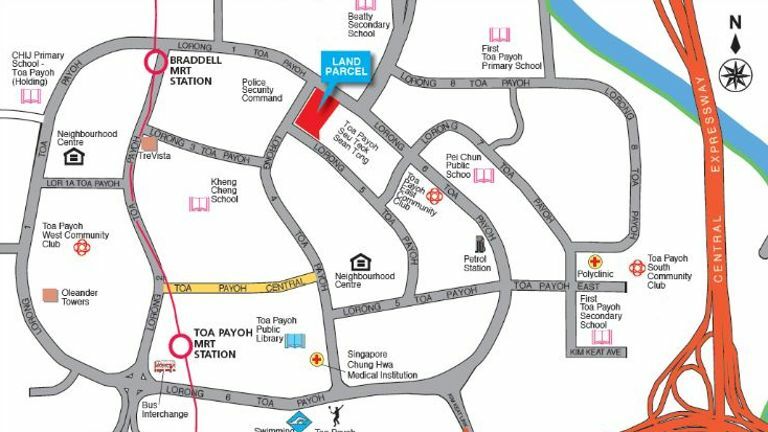 It is encouraging to home owners with children as the area has both local and international schools nearby: Convent of the Holy Infant Jesus (CHIJ Toa Payoh), Pei Chun Public School, and Queen Margaret University Asia Campus. Other institutions such as hospitals, libraries, sports complex and recreational facilities are also within the vicinity. 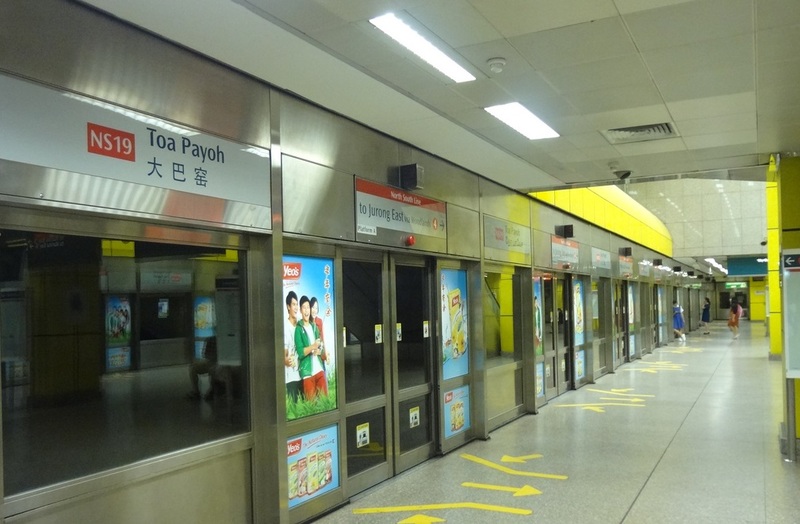 Many people from all over Singapore visit Toa Payoh for different reasons due to the multiple offices, government agencies, shopping centres, event plaza and transportation interchange. Toa Payoh including its surroundings is a fully thriving neighborhood suitable for individuals, couples and families. Investors and home searchers have noted the low supply of private residential buildings in Toa Payoh. It has also been observed that the last development was more than 5 years ago. Hence there is an expected strong reception on the sales launch. Appealing to all for its distinctive features and unrivaled location. Gem Residences is the property investment beyond your imagination. Not only does your home have the finest living space but your entire amenity extends outside to the center of the city and its surrounding parks and commercial areas. You can find your special hideaway in Gem Residences. Gem Residences is associated with stability, tranquility and calmness, a symbol of relaxation and serenity. Amidst the bustling entertainment and business district, be prepared to take pleasure in your own personal resort-inspired home. For more information on Gem Residences Condominium, simply fill up your details below and our salesperson will get in touch with you shortly.